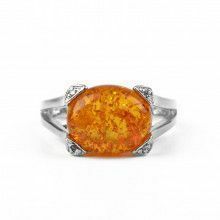 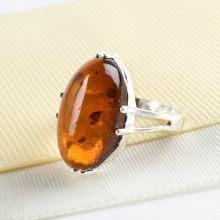 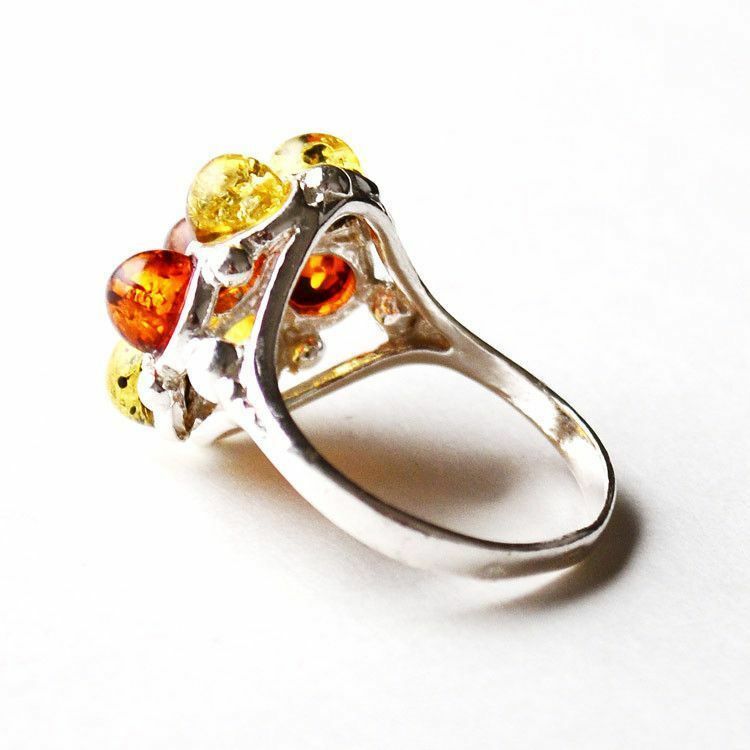 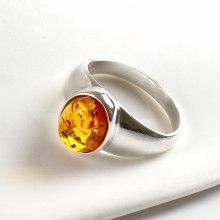 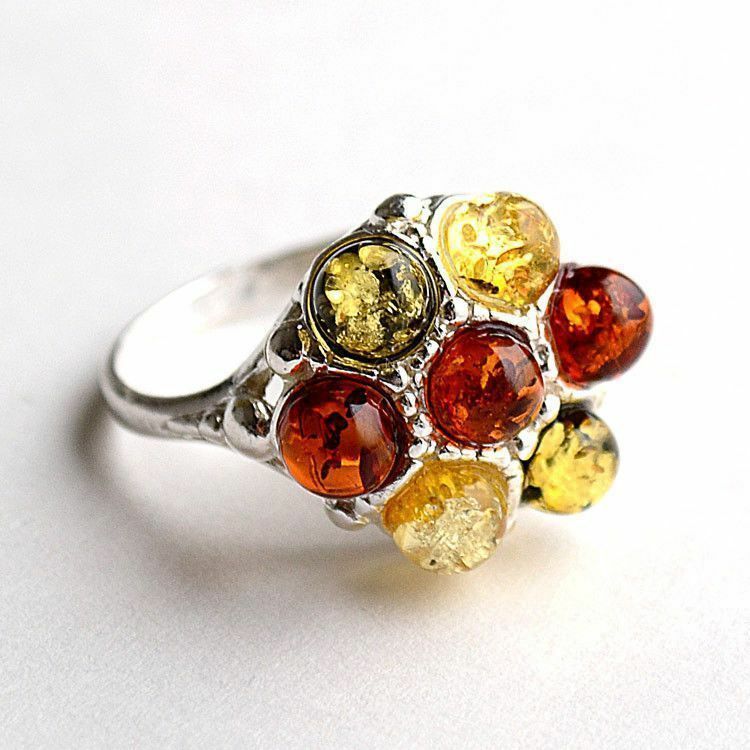 This head-turning amber ring features honey amber, citrine amber, and green amber stones. 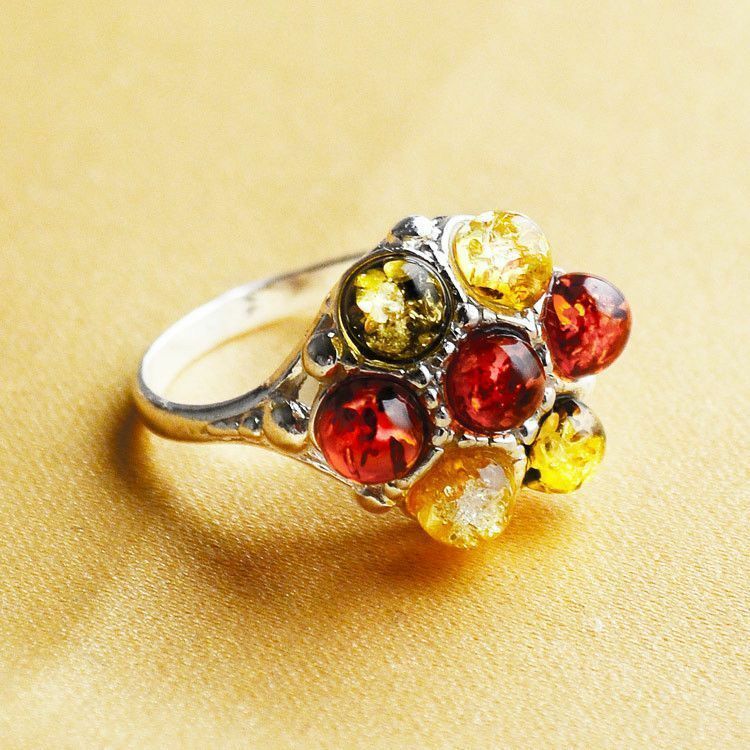 Each stone has been highly polished and set into a custom made sterling silver setting with a floral design. 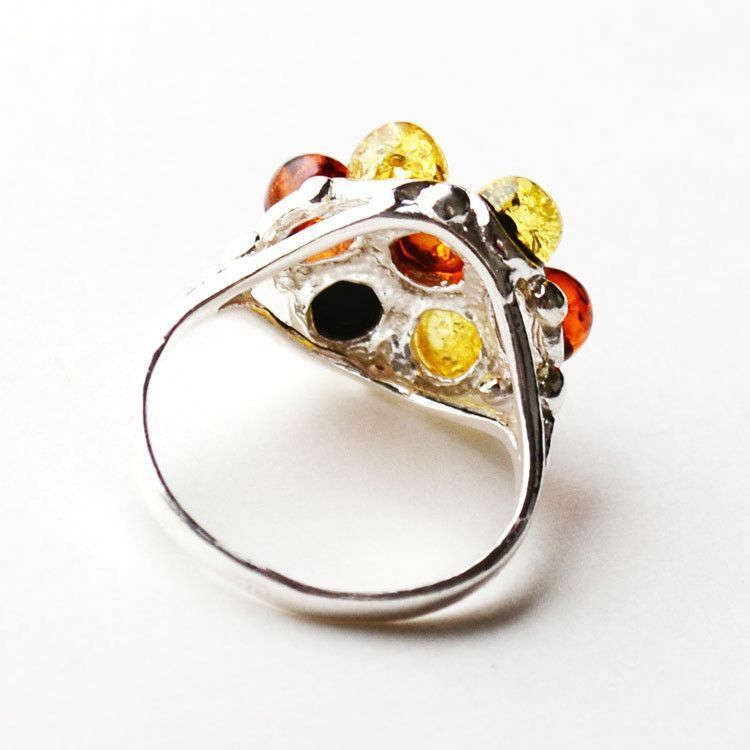 This cocktail ring is a great piece of jewelry to Mix and match with any wardrobe.